Maurycy Banaszek was born in Warsaw, Poland. He has performed at the Marlboro, Seattle, Santa Fe, Aldeburgh, Moritzburg, Mozart, Kingston, Martha's Vineyard, Warsaw Autumn festivals. He regularly tours with the Musicians from Marlboro and appears at the Barge Music in New York. As a founding member of The Elsner String Quartet he has played in such prestigious venues as the Carnegie Hall in New York, Wigmore Hall in London, Gewandhaus in Leipzig, among others. In August 1998 he was invited by the members of the legendary Amadeus String Quartet to perform at the Amadeus Quartet 50th Anniversary Gala Concert in London. He was recently invited to be the soloist with the New Jersey Lyric Orchestra at their Carnegie Hall debut performance and with the Metamorphosen Chamber Orchestra in Jordan Hall, Boston. 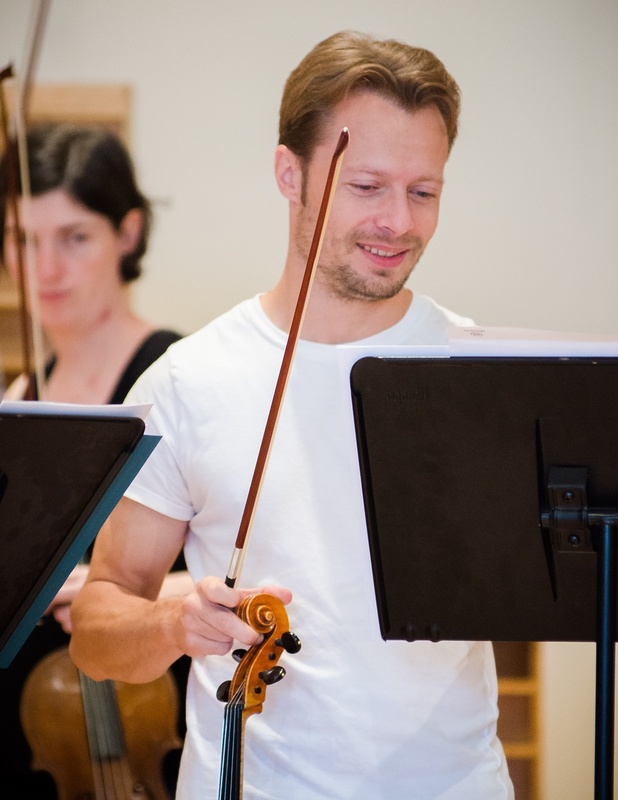 He was also chosen by Gidon Kremer to participate in Chamber Music Connects the World Festival in Kronberg, Germany where he performed with the Guarneri String Quartet. He holds a position of Principal Viola at the Metamorphosen Chamber Orchestra. He is also a founding member of ECCO - the conductor-less chamber orchestra. He is a graduate of the Manhattan School of Music in New York where he studied with Michael Tree. He plays a viola made by Hiroshi Iizuka in Philadelphia in 1997.